Every year, and I mean every year, I hear the same argument start sometime in October or November. It used to just be a lot of “Keep the Christ in Christmas!” shouting. Now, people are angry over cups that don’t have snowflakes and gingerbread men on them. They don’t understand that Xmas is the correct Greek shorthand for Christmas, and isn’t sacrilegious at all. They even go so far as to demonize other holidays that occur near Christmas as some sort of usurper upstarts, because they either forgot or never learned that Christmas is on December 25th because the early church wanted to stop people from celebrating the much more popular Roman holiday The Feast of the Unconquered Sun, which had occupied the date for centuries. People are angry about words, images, plays, and songs. I’m angry, too. I’m angry that when I greet people with a Merry Christmas, certain people will nod in approval, as if I have done something correct rather than something kind. I’m angry that people tell me what they have contributed to charity this year, as if it’s noble rather than something that is required of all people with enough to give. I’m angry that people use this time of year especially to pervert words like kindness when they mean pity or joy when they mean luxury. I’m angry that I’m angry. I’m angry that I do all these things that make me angry, too. I used to believe in something. At least, I think I did. I believed in the magic. I believed that Christmas was the best holiday because of presents and food and movies and music and having a break from school. I used to believe in something. Then, sometime when I was ten or twelve or somewhere around there, I started to see the silver tarnish. The beautiful wrapping paper started to tear, and I saw what was underneath. It was a holiday made of half-truths and knowing winks. I was being fooled, and I couldn’t say anything because it would mean that the holiday where I got to eat as much as I wanted, the holiday where I got presents might be ruined. I realized that the magic was fragile. 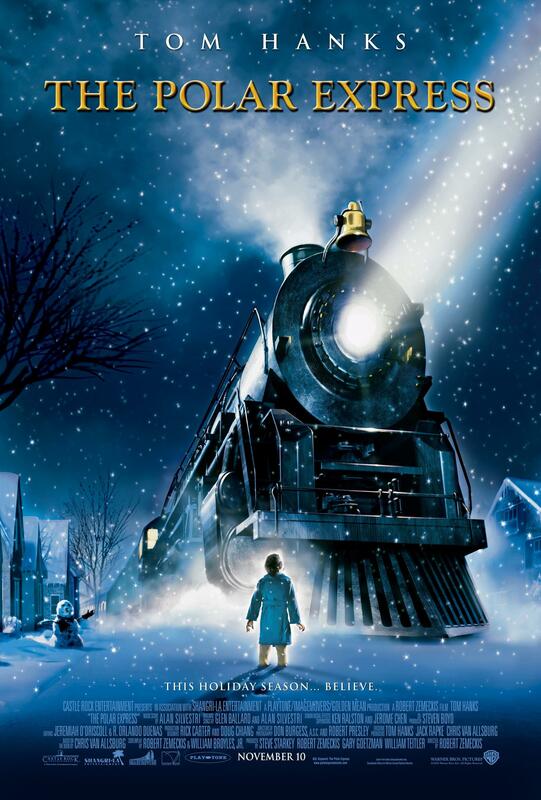 In The Polar Express, this doubt is represented by an inability to hear Santa’s sleigh-bells. The hero of the story, a boy whose name we never learn, struggles with his doubt, fearing that, should he ask his parents about the nature of Christmas, it would mean an end to the magic. Throughout the story, he encounters representations of those traits that become grating when the magic loses its luster, childish avarice and starry-eyed excitement, and he also encounters the traits he most fears taking over, depression and cynicism. Near the end of the film, where the boy is surrounded by true believers, he looks up to see the sleigh-bells being rung and everyone around him saying how beautiful they sounded. He could not hear them. A bell breaks off and comes rolling toward him. The boy picks it up and rings it but hears nothing. This is the moment that a fun family film becomes a great film, one that I love. The boy, at the edge of tears, closes his eyes and, with the pain of growing up in his voice, whispers, “I believe. I believe.” With that, he rings the bell again. The others were right. The sound is beautiful. I had spent so much time worrying that I would do or say or think the wrong thing, and that would shatter the fragile magic. What I failed to realize was that, while I focused on myself, on my thoughts and my actions, the magic had already been broken. But, much like a stone table in another novel about the true meaning of Christmas, beneath the broken surface of the magic I had relied on for so many years, there was a deeper magic. It was a magic that could not be bought or sold. It wasn’t encountered while eating or singing carols. It was and is the gift of peace. Maybe the reason that what we perceive as the magic of Christmas fades to doubt over the years is because we can’t find that magic in food or presents or other people or anything as simple as that. Maybe that’s why it’s so easy to get angry. It’s easy to point fingers at the ones who you think are attacking your holiday. It’s easy for me to point fingers at people I think are missing the point of Christmas. It’s easy to be angry. It’s hard to feel peace. It’s hard to understand that freedom is admitting you don’t have or need control. It’s hard to accept that the way I feel about people who proclaim their righteousness is just as self-righteous as their Facebook posts. It’s hard to admit that we can’t take Christ out of Christmas, because we didn’t put him in it. So, instead of admitting that the magic doesn’t need our protection, we begin to doubt its very existence. One by one, we fall away. There’s a line at the very end of The Polar Express spoken by the narrator after the boy shares his bell with his sister and parents. His sister, Sarah, hears it, but his parents don’t and assume the bell is broken. On Christmas day, I celebrate the gift I was given. It was not a gift in name only. It was a true gift. It was a gift that I couldn’t buy myself. It was the gift of deep magic, of peace, of being known. It was the gift of love in the face of my self-righteousness. It was the gift of never being alone again, not in this life and not after. Yet, even still, with all of my self-assurance, I still find myself often holding the bell to my ear, closing my eyes, and, just before ringing it, whispering the only two words that ever truly mattered: I believe.